Growing up in the 1960s, I enjoyed watching science-fiction TV, like Land of the Giants, The Time Tunnel, and especially The Invaders. Those shows gave me everything I wanted. They took me to another world filled with adventure and thrilling escapades. In the 1970s, I started reading science fiction instead of just watching it on TV. I loved books like The Forever War, Dune, and The Stand. They had the adventure I longed for, but they also portrayed larger-than-life battles that pitted good against evil. Then one day I checked The Andromeda Strain out from the library. It was about a microorganism from space that invaded our world. I loved it. A few weeks later I borrowed The Terminal Man, and then Congo. Michael Crichton became one of my favorite authors. His books made my body tingle with fear, but I couldn’t figure out why I felt that way. I later realized there’s a fundamental difference between science fiction and science thrillers—real science. I’d venture that many science fiction writers are futurists who like to explore the possibilities of tomorrow. Crichton, and today’s top science-thriller writers, explore what is scientifically possible, here and now. After writing two standard thrillers of my own, Pursued and Deadly Cult, I longed to explore the scientific aspects of the thriller, stories and plots that that would make my reader’s mind reel with what was possible. In this world. Today. I searched the papers, culling every scientific fact and tidbit that might make a convincing novel. 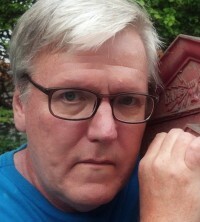 Little did I realize that I clenched the best subject matter in my hand: my cell phone. Modern electronics rule the world, from computers to fluorescent light bulbs to electric cars. And these electronics use rare earth elements (REEs), a set of 17 chemicals with particular magnetic properties. Without these REEs, our electronics would be more expensive, larger, not as efficient, and not as fast. Today, China supplies more than 90 percent of the world’s rare earth, much of it coming from rogue and illegal mines. Worrisome, given that the National Intelligence Council (NIC) recently predicted that criminal organizations will expand activities into all parts of the world. It didn’t take much to decide that these international crime organizations would want a piece of the REE gold mine. What could be a better premise for a thriller? But I still needed a location to tie everything together. It turned out that area was in my backyard—Essex County, in the heart of the Adirondack Mountains. An area called the “Mineville Dumps,” where iron-ore miners dump their byproducts. Those dumped deposits are filled with REEs. 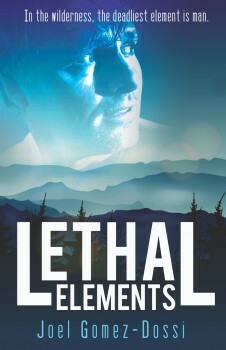 So, with all my elements set, I got to plotting, writing, and rewriting LETHAL ELEMENTS. Yes, the novel still borrows heavily from the science-fiction genre. It contains a battle of life and death, and of good and evil. But I hope the reader also ingests a little bit of modern-day mineralogy along the way, so that they too can relive the feeling I got back in the 1970s, while reading Michael Crichton. Writer Joel Gomez-Dossi came to journalism by way of theater, television, and digital media production. He was a stage manager for several theaters in the Mid and Southwest; a producer for television projects; and a production manager for the Emmy Award-winning PBS science series, Newton’s Apple. Joel has written about film and theater for many regional publications across the country, and penned an entertainment column for the queer press that ran in twelve states. Pursued is his first novel. Joel and his husband live happily ever after in upstate New York. To learn more about Joel Gomez-Dossi, please visit his website.